Mount Community Arts Award celebrates and supports local community arts projects. We’ve prioritised supporting community arts projects since our inception in 2015. Our aim is to support at least one community arts project a year. 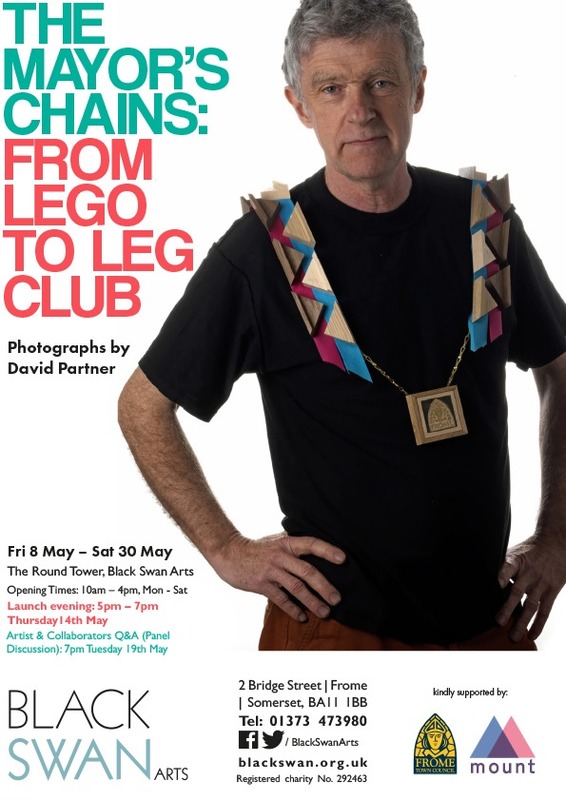 In 2015 we donated 26 frames and designed an exhibition catalogue for Peter MacFadyen and David Partner’s Mayor’s Chain exhibition. The exhibition toured from here at the Silk Mill to the Black Swan Arts Roundtower and then travelled to Halifax in Yorkshire and has since been shown in London and elsewhere in the UK. In 2016 we supported Black Swan Arts 1000 Postcard exhibition, raising funds for the Roundtower gallery. later in 2016 we sponsored the Humans of Frome exhibition which celebrated various community members of Frome, photographed by Ciara Nolan. We helped fund the printing of these 30 beautiful photographs, all printed on our large format Canon giclee printer. You can follow the project on the Facebook group and in the Frome Times newspaper. In 2017 we helped Tim Gander print a series of works to raise money for ROUTES; a Frome-based drop-in centre for young people in need of support – it came under threat of closure and a big fundraising campaign successfully saved it. Tim’s photographs were of various young people who use the centre; they were shown in Café La Strada. ROUTES requires ongoing support and funding, so if you’re in the position to help this important charity please look them up or ask us to pass on further information. https://www.mendipymca.org.uk/what-we-do/routes-one-stop-shop/ Tim Gander is now working on a project about the Saxonvale site in Frome. Follow his Instagram account to see this excellent and culturally important body of work. If you are planning a community-led arts exhibition or project, please get in touch with us on info@mount-art.co.uk to see if you’re eligible for an MCA Award.